USS Witchita,LCS-13, the newest Freedom Class Littoral combat ship arrived this morning. The ship is headed to her home port after completing construction in Wisconsin, and being accepted by the US Navy August 22. 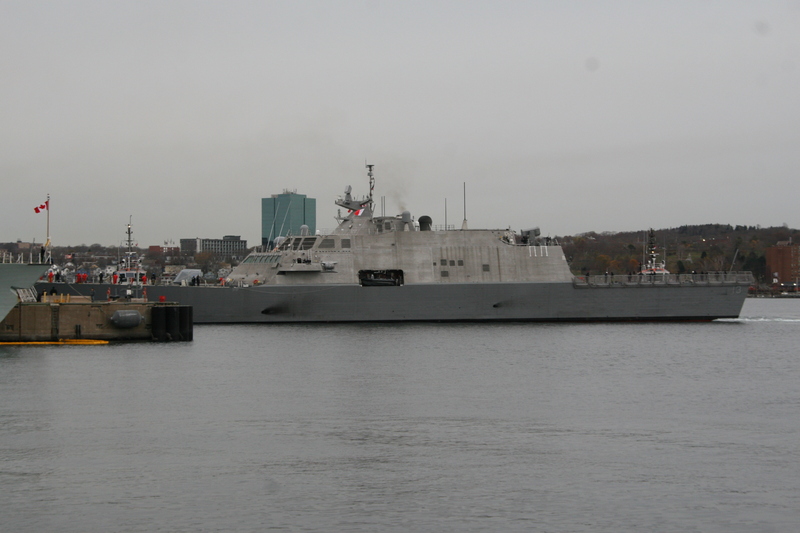 USS Sioux City Arrived on the 6th, having also been delivered on the 22nd of August. She was the first LCS I missed photographing due to work and weather. This entry was posted in USN, visiting ship on November 13, 2018 by Peter.